Chic Nostalgia “Echo” ivory lace gown ($1,560) from Bridal Accents Couture. Rita Vinieris “WOW” floral organza gown ($7,050) from Posh Bridal Couture. 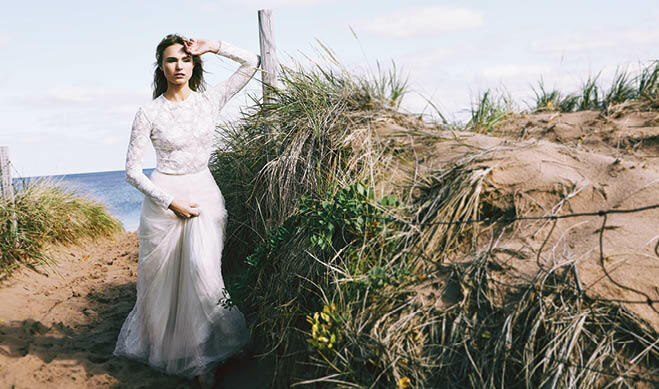 Needle & Thread Bridal tulle gown with floral adornments and blush-dipped hem ($1,495) from Net-A-Porter. Sareh Nouri “Chelsea” ivory gown with floral appliqué ($6,150) from Annika Bridal Boutique. 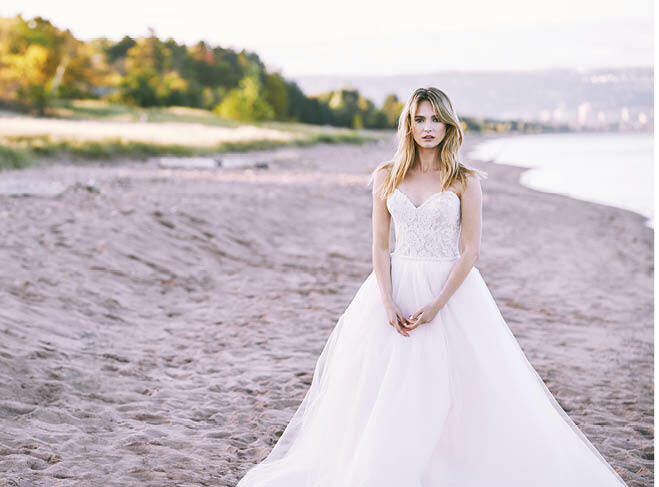 Isabelle Armstrong “Jackie” ballgown with floral embroidered bodice and tulle skirt ($5,500) from Bridal Accents Couture. Chic Nostalgia “Virena” ivory floral lace beaded gown ($1,645) from Che Bella. Houghton “Dickenson” lace bodysuit ($675) and Linyage blush crushed-tulle skirt ($1,555) from The White Room. Untamed Petals “Jasper” headpiece ($354) from Posh Bridal Couture.